It is just a matter of time. The Internet of Things (IoT) is coming to InsurTech. By 2020, 1/3 of European homes will be smart and everything with a power supply – and many things without one today (i.e. door locks) will be connected. This week, Rick Huckstep talks to two experts in the field of IoT coming at this from very different angles. One heads up the IoT business for a major telco, the other has over 20 years experience in loss adjusting. But there is one thing they have in common…they both believe insurance is going to change big time from the Internet of Things. Gartner assess there will be an average of 500 smart devices in the home by 2022. These IP addressable items will include white goods, door and window locks, smoke detectors and every electrical device. All made possible with wireless connections to the broadband router in your home, or the low frequency networks from the likes of SigFox. It is no surprise that insurers see the massive InsurTech opportunity from IoT. Last month, an Accenture blog reported that 39% of insurers have launched or are piloting connected home initiatives. This is backed up here with research by CB Insights. The world has seen an unbelievable explosion of data in the last couple of years. But, that’s nothing compared to what’s coming next with IoT (and telematics and wearables and and…). Which takes us down the road of greater level of personalisation in insurance with smaller risk groups and more balance in the shared risk pool. The good risk will still subsidise the poor risk, but the gap between the good and the bad will be much closer. And this opens up the game to the players everyone is worrying about. Amazon, Google and Apple, who have hired thousands of IoT engineers over the last few years. We should also look closely at the new entrant dark horses – the telcos, who have big ambitions of their own! For these are the gatekeepers of the network, whether it is the broadband router in the home or the smartphone in your pocket. 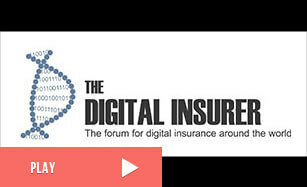 The opportunities for collaboration and partnership between telcos and insurers is massive! Customer education is the way in which Insurance will redefine itself and correct the massive trust issue that exists today. By using new sources of data, insurers are able to alert customers of potential loss BEFORE it occurs. Whilst the traditional insurance definition would say; “that’s not our responsibility”, the reality is that insurers will want to to reduce their losses and prevention is so much better than cure. Ask any customer! Eight early examples are included here on Insurance Networking News, including State Farm and AmFam giving discounts for using NEST smart devices. To understand more, I skyped recently with Jon Carter, Deutsche Telekom’s UK Head of Business Development for the Connected Home. Not one to mince his words, Jon told me; “This is a race to the surf, so to speak, with IoT being the next big wave to hit the insurance market. This will be much bigger than the move to direct sales or price aggregators. IoT will have a huge disruptive effect on insurance and we could see an upending of their entire model. “As in the earlier disruptions to hit this industry, the first movers will be the ones that define the landscape and capture the future value, as well as protect themselves from further disintermediation. “Roughly, a 1/3 of all household claims relate to water leaks. By connecting a small device, such as Water Hero or Gem sensor to a home’s mains pipes, water flow can be monitored continuously. As soon as an anomaly in flow rates is identified, the customer and/or insurer is alerted to take proactive action. Which could include a tweet to the homeowner to turn off the mains supply or an automatic call-out to a plumber. And in the case of Water Hero, the water flow can be immediately turned off. To date, insurers and insurance have had a lot of bad press, some of it deserved. However, I am in the camp that insurance is the bedrock of society and commerce. And there has never been a better time for insurers to tackle the bad press and reinvent their brand. IoT and InsurTech will enable insurers to embrace the shift to paying in advance. The shift to prevention rather than cure. Jon continued; “Insurers should be looking at adjacent markets and partnering with telcos and technology vendors to avoid events before a loss is incurred. In the UK, only about 10% of homes actually have some form of monitored alarm, with almost a third having a ‘bells only’ alarm. Many of these are not monitored by anyone, meaning that although they may act as some form of deterrent to a prospective intruder, they do little to provide peace of mind in the event of a break-in. All they do is annoy the neighbours. Not terribly smart! “But with IoT, everything changes. Instead of a static, disconnected alarm system, the connected home creates a lifestyle engagement (Editor’s note; Sound familiar!). “From their mobile, parents know that little Johnny has arrived home. Visual verification using IP cameras, such as Logitech’s Circle give customers peace of mind that the person in the home is meant to be there. When you then add to that connected speakers, smart lights, etc a home owner can easily create the impression of a lived-in home, even when no one is there, from a virtual dog barking, to music and lights turning on and off. Your very own ‘Home Alone’! And in the event of a smoke alarm at night, lights can automatically come on, making a rapid exit simpler and easier for everyone. (Editor’s note: we’re now heading into the world of Machine 2 Machine, exchange of data, Internet of Value, blockchain and Bitcoin. This is a a subject for another post, but for now, I’d urge you to read this excellent piece from Chris Skinner). To get another perspective I caught up with Craig Polley the week after he and his team scooped 2 awards at the recent Startupbootcamp hackathon held at the Aviva Garage in London. Craig is an insurance man. He has been in the claims and loss adjusting game for the past 20 years. Having pitched his idea for an IoT solution to continuously monitor building movements and subsidence, Craig pitched up at the Garage with a hobby kit he bought for less than £100 from Radio Spares. He showed me the Smart Everything board with it’s inbuilt sensors and licence for Sigfox. Just Like playing with a modern day Meccano set, Craig set about adding sensors and other electronics to create a simple, low cost device to measure whatever he wanted it to. Whereas Jon’s perspective was from inside the connected home, Craig tackled a problem on the outside. In this case, the problem of subsidence. Craig’s InsurTech business, called RiskSensio automate the continuous monitoring of building movement using IoT sensors. At the hackathon, Risksensio won the Awards for Best Technology and Best Data Source & Ratings. Craig explained; “Subsidence problems are chiefly ground condition problems that are made worse in dry conditions. One of the biggest hazards is overgrown trees. They take in all the water through their roots, then, during a very dry spell, the roots shrink, the clay collapses and you get subsidence. The Association of British Insurers report there are around 35,000 domestic subsidence claims in a normal year at a cost of around £250 million. In a hot, dry year, the number of claims increase significantly. On such ‘event year’ was 2003 when the claim count exceeded 55,000 and costs increased by 60% to £400 million. It is estimated that vegetation (primarily trees) accounts for 70% of valid claims in event years. The ABI also predict that subsidence (downward movement of the ground surface) claims will reach £600 million a year by 2050. Craig explained how RiskSensio changes the game for insurers; “The old style system used by the adjustor was called a Tell-Tale that relies on an an engineer to go onsite at regular intervals to measure movement. The insurer doesn’t want to start repairs until the building has settled. But the downside is extended costs because the assessment is manual and always takes longer than is necessary. “Our solution is an IoT device to monitor building movement. It is far cheaper than sending an adjustor to site. It also provides continuous monitoring instead of a manual review and filling out the forms that track movement. We avoid expensive mobile data charges by using the narrow bandwidth network from Arqiva built on SigFox technology. Craig explained; “I approached Cranfield University to use their land information database called LANDIS. They kindly granted me a licence to access their service for the hackathon. “They’ve mapped soil data-sets for the the whole of the UK. These are essentially heat maps and are used as a reference point when quantifying risk and hazard of a building based on the land it is built upon. “To enrich the data even more, Cranfield have partnered with BlueSky, who have created a National Tree Map using unmanned vehicles to map every tree over 3 foot high. There is no doubt that InsurTech and IoT gives insurers much greater insights into customer behavior. Which creates greater levels of granularity in risk models and shifts insurers closer towards personalisation. It also gives insurers the ability to massively reduce cost and exposure to risk through proactive monitoring and assessment. The power of the IoT use case is massively amplified when InsurTech and IoT co-mingle with external reference data. When this is presented back as a visual dashboard, the result is very powerful for insurers. Whilst IoT is a massive opportunity for insurers, it also creates their biggest threat from new entrants! The author, Rick Huckstep, is an InsurTech thought leader and Editor of InsurTech Weekly for The Digital Insurer. 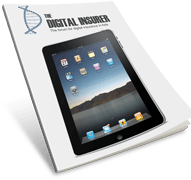 Is the insurance Actuary an endangered species, or simply facing an evolutionary makeover?